Sophie Turner is absolutely sick of having her relationship under a microscope! 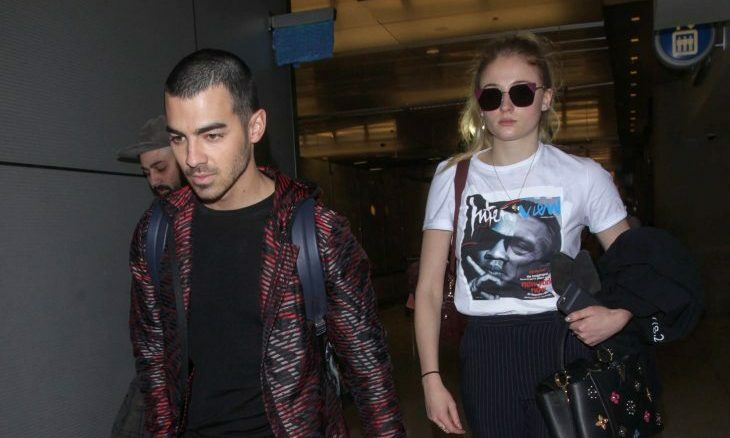 According to Marieclaire.co.uk, The Game of Thrones star shared that she’s very happy with her relationship with Joe Jonas, but hates how the mundane moments of their relationship are being photographed. Jonas, who has a dating history of past celebrity relationships, seems to be used to the public attention from fans and paparazzi. Hopefully the couple can work past this issue that comes with being a celebrity couple! This celebrity news has us realizing the unique challenges celebrities face in relationships. What are the most common place challenges “normal” couples face, and what should you do about them? 1. Communicating: One of the easiest relationship problems to solve is also the one that’s the hardest to follow through with. Communicating feeling and problems in your relationship is very important and has to be done if you both want to stay together. If you struggle with sharing your concerns while being together, see a couples therapist to help translate emotions that you and your partner are experiencing! 2. Respecting Boundaries: Like Sophie Turner, boundaries might be your biggest issue with your relationship! Whether it’s family members or your partner, sometimes they can cross the line on discussing uncomfortable issues or invade your personal belongings. Although it may feel awkward at first, confront them by addressing how you feel about their behavior and ask them to please stop. If they do not stop the unwanted action, then seek advice from a couple therapist who can personally help you tackle the issue. 3. Jealousy: This problem is annoying and can sometimes make a person feel ashamed during their relationship. The person who is feeling jealous needs to admit the emotion and discuss their feelings. The other partner can accept and reassure their relationship is fine, or find a minor way to fix the jealousy problem. For example, if a partner is jealous of a co-worker, explain that it’s just a business relationship and avoid an outside relationship with the co-worker. Jealousy comes in many forms, but it can be resolved through communication! Have you faced one of these relationship problems before? Let our readers know how you solved your problem in the comments!